Pitch after pitch of perfect nvits like paradise, except for the spindrift, screaming barfies, wind and storms. No matter. Embrace them, too, with the new Pluma Jacket. 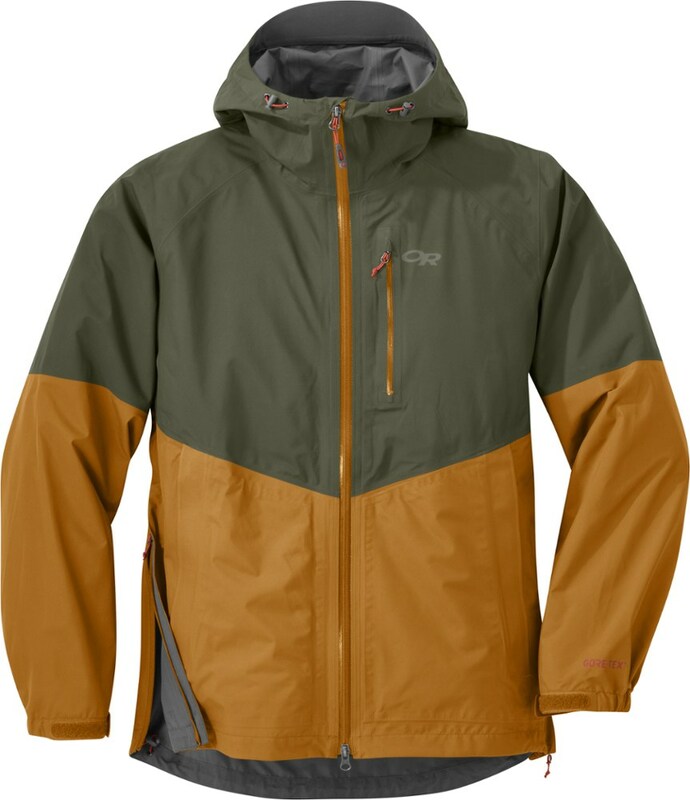 Its as reliable as a good climbing partner, combining durable waterproof/breathable performance in a lightweight 3-layer GORE-TEX PRO shell fabric (100% recycled nylon), featuring GORE Micro Grid Backer Technology. The hood adjusts with a single-pull Cohaesive embedded cord-lock system, which works equally well with any type of helmet or a bare head. The pair of handwarmer pockets sit high, above harness line, and use watertight zippers, as does the exterior chest pocket and the pit zips. Additional features include embedded cord locks at the hem for easy adjustment, minimal hook-and-loop cuff closures, and an interior chest pocket. 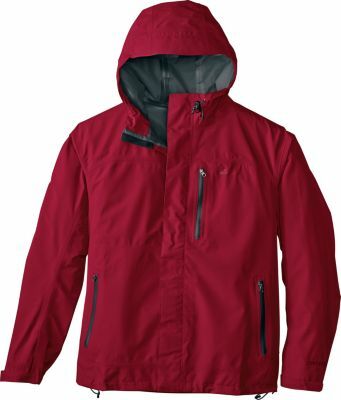 The DWR (durable water repellent) finish helps shed excess moisture. Pitch after pitch of perfect snow-it's like paradise, except for the spindrift, wind and storms. No matter. 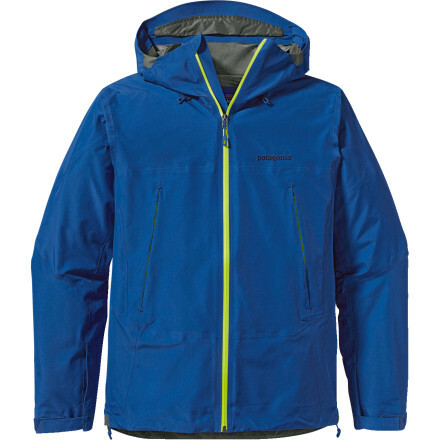 Embrace them, too, in the men's Patagonia Pluma jacket and its 3-layer GORE-TEX(R). Pitch after pitch of perfect neve-it's like paradise, except for the spindrift, wind and storms. No matter. Embrace them, too, with our Pluma Jacket. 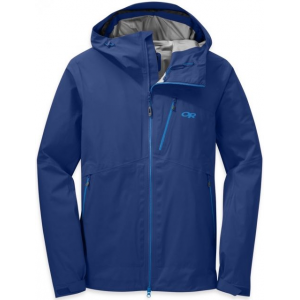 It combines durable waterproof/breathable performance in a lightweight 3-layer GORE-TEX Pro shell fabric (100% recycled nylon), featuring GORE(TM) Microgrid Backer Technology. The hood adjusts with a single-pull Cohaesive(R) embedded cord-lock system, which works equally well with any type of helmet or a bare head. 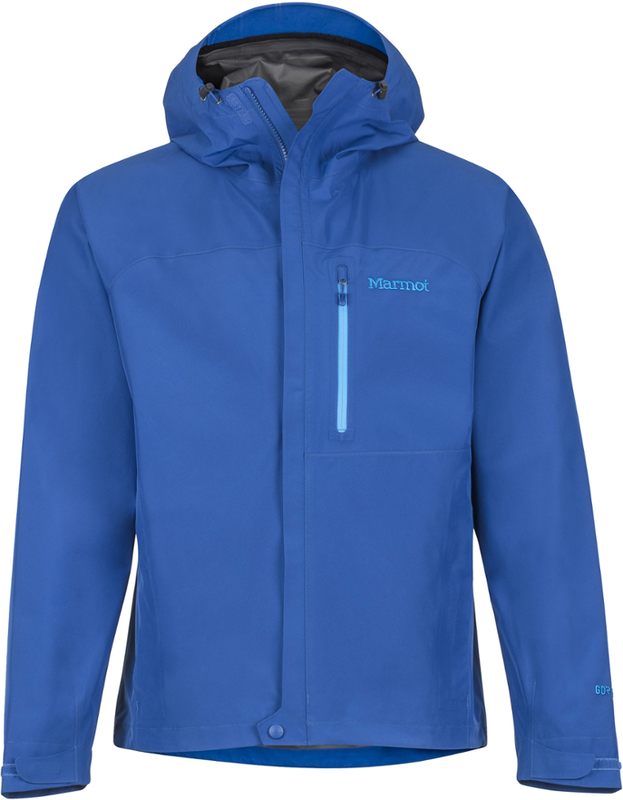 The pair of handwarmer pockets sit high, above harness line, and use watertight zippers, as does the exterior left-chest pocket and the pit zips. Additional features include embedded cord locks at the hem for easy adjustment, minimal hook-and-loop cuff closures, and an interior right-chest pocket. The DWR (durable water repellent) finish helps shed excess moisture. 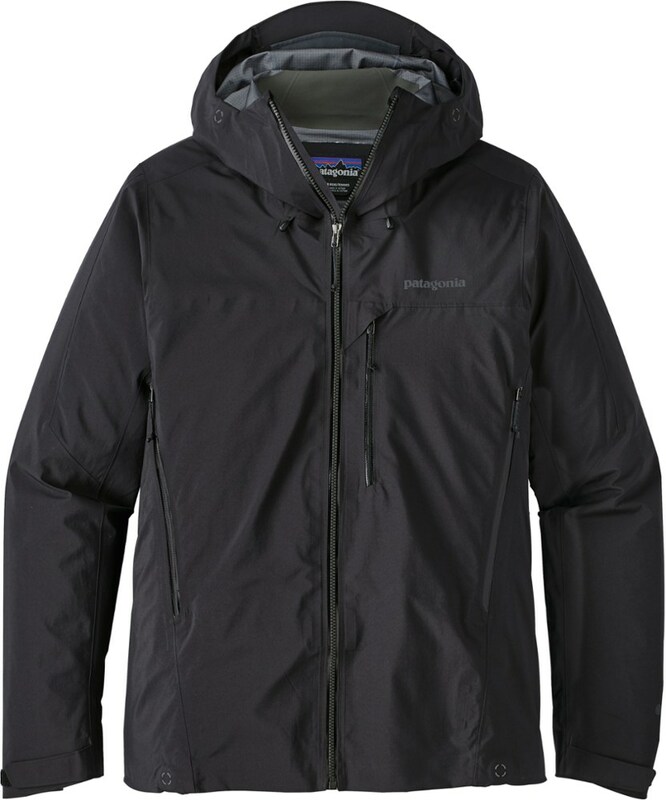 There'll come a time when high winds and driving snow will force you to reconsider your objective, but until you're forced to bail back to base camp, the Patagonia Men's Pluma Jacket will keep you dry and protected from the ever-changing alpine weather. Ridge line winds and falling spindrift won't stand a chance against the Pluma's waterproof and windproof Gore-Tex Pro shell, which maintains breathability whether you're ascending a steep couloir or making the final push to the summit along the summit ridge. 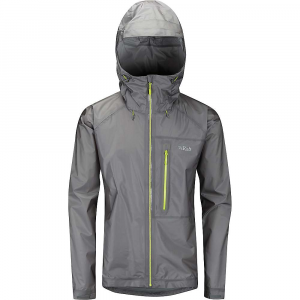 What really sets the Pluma apart from other alpine shells, though, is the jacket's durable face fabric that's comprised entirely of recycled nylon, making the jacket one of the first waterproof, breathable garments to utilize an entirely recycled face.